Congratulations Jude!! Now all you have to do is reply to the email which I will be sending you within 48 hours with your PayPal email so I can send you the $25 and your full name and mailing address. But before you do that go to www.lillarose.biz/micheleb and pick out up to 25.00 in product--send me the item numbers and I will go in and have them shipped directly to you! 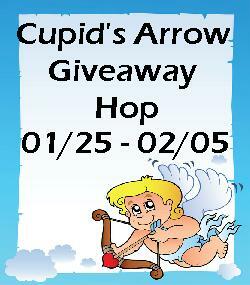 Welcome to the Cupid's Arrow Giveaway Hop hosted by One Busy Moma and Miki's Hope! These 2 great hosts have teamed up with 12 other bloggers to bring you an amazing event full of great prizes!! 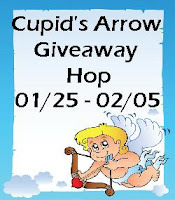 This giveaway hop will run from 12:01 AM on 01/25/2012 until 11:59 PM on 02/05/2012. The idea is to get you some really great gifts for Valentines Day!! Don't forget to go enter the Grand Prize Giveaway after entering our giveaway too. And be sure to check out the other amazing blogs in the linky at the bottom of the post for even more great giveaways! And because I am co-hosting this give away I will also be giving a $25 PayPal to the same winner!! To re-cap--1 winner will get $25.00 in product from Lilla Rose and $25.00 PayPal. I am going to make this super simple--just Please remember to put your email in every comment so I know where to send the winner their email!! Mandatory: In a comment-What do you like best about Valentine's Day? Good Luck everyone--and Have a Lovable Valentine's Day!! Now get hoppin' for all the other great gifts!! Following via GFC as Lena M.
I retweeted this as @LenaMaxw. I liked the post as Lena Maxwell. I like that Valentine's Day is a day set aside to show your husband how much you treasure and love him. I like the chocolate best in the Valentine Day ritual. I like making a special dinner, dessert and decorating the table. I like romantic surprises on Valentine's Day. I'm following via GFC as dv8. I am pretty sure I am a GFC follower but like always it's acting up so I can't confirm it. I like spending quality time alone with my hubby while he pampers me like his queen! :) Thanks for an awesome giveaway! Liked the post on facebook. My favorite thing about Valentines day is how excited my kids get for small gestures. I like the romanticness of it best. I love all the Romance, and it was around the time me and my hubby first met! I follow via GFC, as Mechele Johnson. I liked the post as Mechele JOhnson. what i like best is when my hubby remembers what day it is! I love spending time with my hubby and of course the chocolates! My husband and I use it as a day to remember the time that we first met. It is always an enjoyable day for us. Valentines day is very special for young love and also for old. I like that I will get a dedicated day with my husband. I love the date night! I like the Red Roses and the chocolates!!! I like the general feeling of wellbeing on Valentine's day & the chocolate. I like Valentine's Day because it gives me a chance to have a romantic evening with my wife and to eat some of the chocolate candy that I buy for her. I like that it is the day my husband tries to be romantic. I tweeted using the tweet button. I like that it makes us remember the importance of a relationship - with whoever it is. I have Tweeted today, first chance to visit. I love Valentines for 2 reasons, it is a time to reconnect with my husband to tell him how much I appreciate hum over a nice dinner, and with my grand kids to see how happy they are to receive grandmas "Valentines" It is a happy special day!! I like it because it is a day we set aside to be together. What I like about Valentine's Day is I get to spend a Romantic Day alone with my Sweetie and to show our loved ones just how special they are~! Have A Happy Valentine's Day To You Too~! I just like that there is a day dedicated to appreciating the ones you love! I love the romantic aspect of Valentine's Day. Thanks for the giveaway!! Following you on GFC with username swade. Thanks for the giveaway!! Circled you on G+ Sasha Wade. Thanks for the giveaway!! Tweeted about the giveaway https://twitter.com/#!/swade005/status/162913949606621184 Thanks for the giveaway!! my fav thing about v-day is buying my boys cute gifts! What I love most about Valentine's Day is that .. it is all about Love. I love that. What I like best about Valentine's Day is that my husband either takes me or cooks dinner! I love that it's the perfect excuse for busy couples to slow down & take some time for themselves. I like that my husband and I usually have dinner together even if we have to have it in our own house after the kids eat. I like the fact that my family lets me be gushy and give them extra heapings of love at least one day a year.